Would a pregnant Kate do this? Another opportunity for Kate to prove she isn’t pregnant. 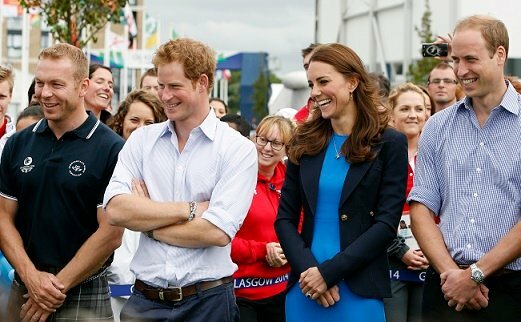 Yesterday, Kate, Will and Harry spent another day at the Commonwealth Games. 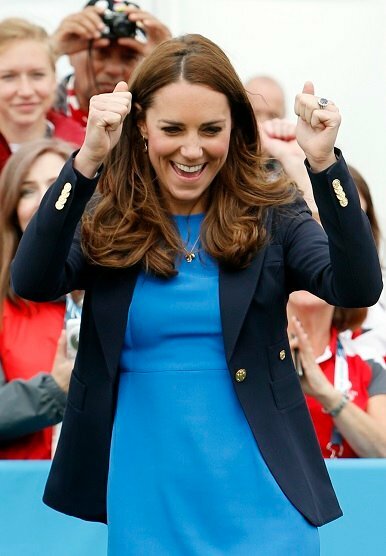 And Kate made sure to say yes to a 3-tin game when asked (to further squash the bets that she is pregnant) – despite wearing a blue dress and wedges. 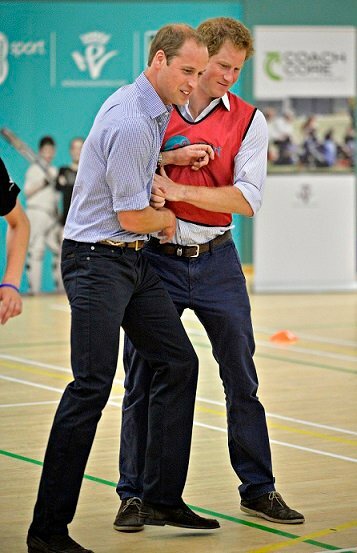 Other things the royals got up to was meeting runner Usain Bolt, touring the Olympians&apos; village, visiting several sporting charities, Will played video games with the Welsh women&apos;s hockey team, Will and Harry competed over a game of footy, Harry boxed with an athlete and Kate turned multiple servicemen&apos;s heads as she, Will and Harry watched the athletics. 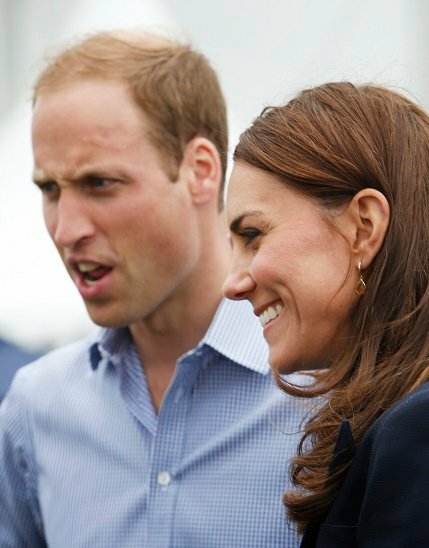 Kate also told former world and Commonwealth champion swimmer James Hickman that Prince George loves swimming. "She was at the swimming last night, so I was just interested to know if she had taken George swimming. She said he loves the water and he grabs things to splash with. So, maybe he could be the next royal to take part in the Olympics, and if he was in swimming that would be incredible." It was revealed last week that Prince George goes swimming once a week with Kate at the the historic pool at Buckingham Palace. Hockeyroos players Jayde Taylor and Brooke Peris. Via Twitter. 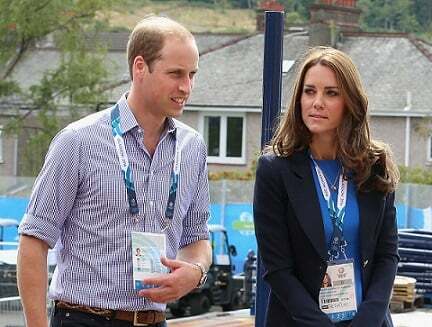 Will and Kate attend the Commonwealth Games. The servicemen took a couple cheeky looks at Kate. 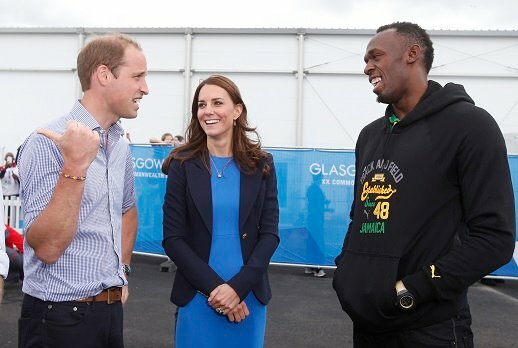 Will, Kate and Usain Bolt. 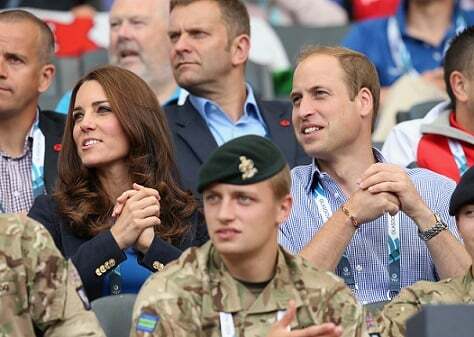 Kate at the Commonwealth Games. 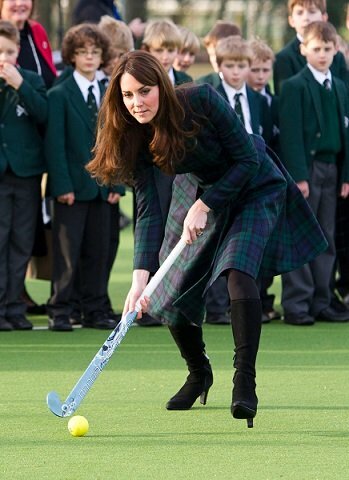 Kate&apos;s great at doing things in heels.. like playing hockey. 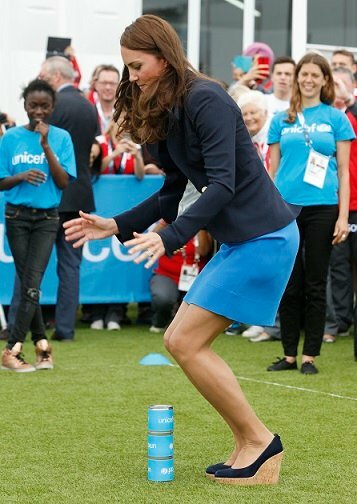 Kate playing cricket in heels in 2014. A dress Kate wore in Manly, Sydney. Forget the Aussies’ gift for George, everyone is trying to see Kate’s belly.